In a hospital setting, the cost of this type of care can reach tens of thousands of dollars!! Despite all that we hear about the Affordable Care Act, there are 3.8 million Californians who are still uninsured. At Urgent 9, we are innovating new ways to safely take care of sick patients who do not have insurance, and we are doing it at a fraction of the cost. 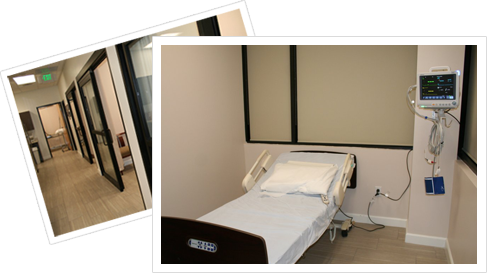 At Urgent 9, uninsured patients can take advantage of 1 week of care, which includes X-rays, Ultrasounds, CT scans, IV fluids, basic blood testing, and even small procedures for only $499. As a leader in the care of uninsured patients, we understand the intrinsic risks of treating a population that cares dearly about costs. Just as one example, in the past few years, patients have seen 3d and 4d ultrasound costs increase nearly tenfold. Just the thought of asking “where can I get a CT scan” is enough to make people instinctively reach for their wallets! Uninsured patients are extra-sensitive about costs like these, and Urgent 9 understands and is here for them. We have found that most uninsured sick patients don’t want to return to the office for a follow-up visit, because they worry about the cost of x-rays and imaging, getting blood work done, or other procedures they might need in a follow-up setting. This creates a dangerous situation for patients who might have a problem that will take more than one day to diagnose. At Urgent 9, we want to make sure that our uninsured patients get the correct diagnosis without all the financial worry. This is why we have developed our Everything Plan which is not one day, but one week of Glendale medical care for only $499. *Offer only good for cash pay patients who pay at the time of first visit. This offer is not valid for those using insurance to pay for services. Basic blood testing includes CBC, CMP, Lipase.